We have announced the Minnesota Challenge at the last couple of meetings but wanted to make sure you had all the details needed to get to work on it, especially with our retreat coming up next week! 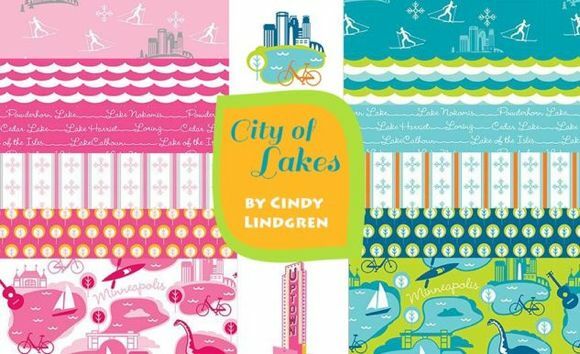 Taking the lead from local textile artist Cindy Lindgren’s City of Lakes fabric line, members of the Minneapolis Modern Quilt Guild designed a group quilt from fabrics that she generously donated to us. This quilt is the centerpiece for our Minnesota Quilt Show 2016 exhibit. We are challenging our members to create a quilted piece of work that was inspired from our home state of Minnesota. Taking into account our changing seasons, abundant lakes, local architecture and all the natural resources that surround us daily, design inspiration is unlimited. 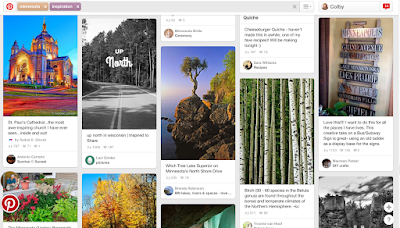 Take a look at a "Minnesota Inspiration" search on Pinterest to get started! A description of 25 words or less about the quilt, the design, the process you used to make the quilt or any other information you want to supply about each quilt. The Show Book will contain the name of the quiltmaker and the quilter and the size of the quilt. The description of the quilt will be used for signage. We will not be publishing the descriptions of the individual quilts this year to keep the cost of printing down. Final quilts for Minnesota Modern Inspiration exhibit will be due at the May meeting.